Just collected my package from Mama Pam (ok that's what I call her, but you shall call her Pamela or Pam for short). 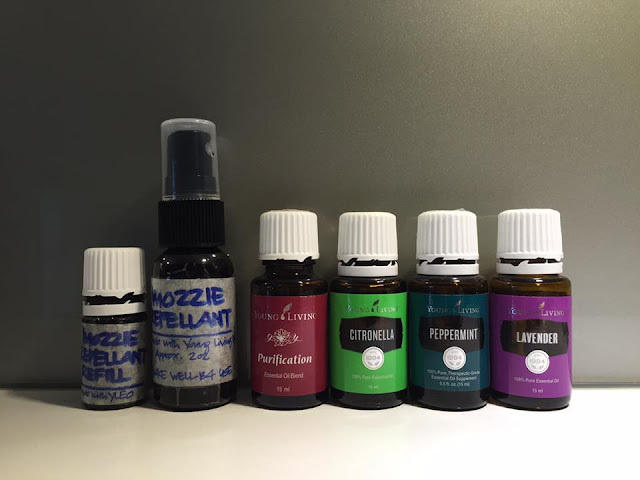 As soon as I saw her post on the mozzie (mosquito) repellant, I was intrigued by the idea! It was the perfect gift for my sis, since my sis now works in Singapore (and we all know about the Zika virus). Mama Pam's someone who's very quick to take action. I was just commenting on her post at FB, and she sent me WhatsApp messages with details about the mozzie repellant. I know her and trust her recommendations (even back when she was blogging, I could rely on her taste for good things). And there, I was sold! Ordered myself a spray bottle with a refill pack. Now, before I show you the good stuff, I must give yet another compliment to Mama Pam. When she quoted me the goods, she had forgotten that she quoted me based on slightly above the costing price (that's almost bare minimum profit). When she came to realize it, she was honest with me, but yet she didn't demand the extras. Now, I shop a lot online, especially from product distributors and many in this case would have apologized but request me to top up (and we're strangers before those transactions are made). So, here's a perfect example of an honest and nice entrepreneur! Yes, I'm pulling both her legs; I wondering if I can get discount from future purchases, hahahaha. Just kidding Mama Pam! I'll continue to support your business with discount or not! The package looks simple and nice! Here's my spray bottle with the refill pack! I took a couple of sprays on my hands, and I instantly took liking to the scent of the spray! When Mama Pam told me "This repellant smells divine", she isn't kidding! After I showered, I sprayed my my whole body with it! And ya know what?! 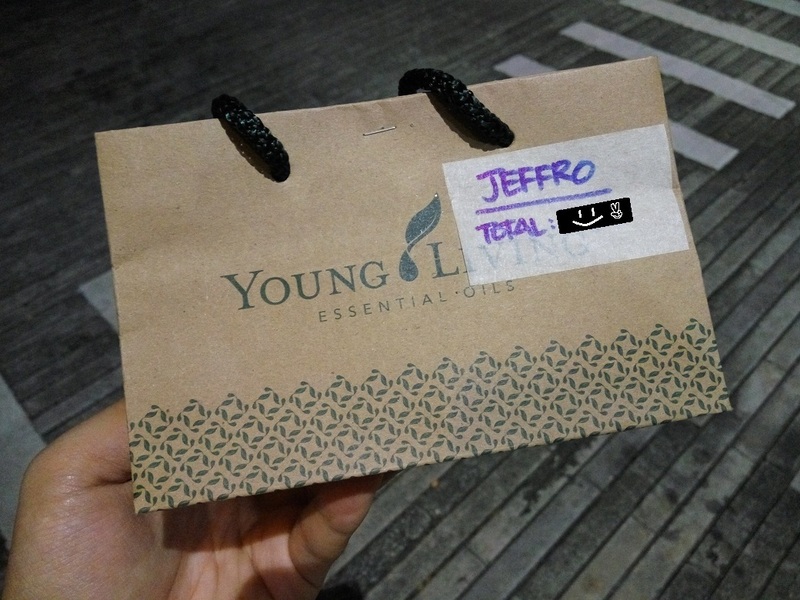 I SMELL GOOOOOD~~! Got my mum curious about the fragrance too! OK I just remembered that this package is actually a gift for my sis! Oops!I better get one for myself instead! 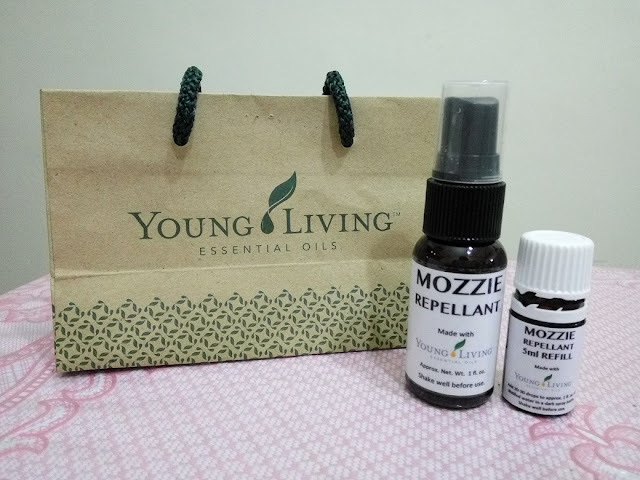 Oh ya, another tips, the mozzie repellants can be coupled as droppers to your water based air purifier, because they're 100% therapeutic grade essential oils. Let the divinity scent spread everywhere! Belated Birthday Gift from Sis! Negotiation, A Success Or Failed?